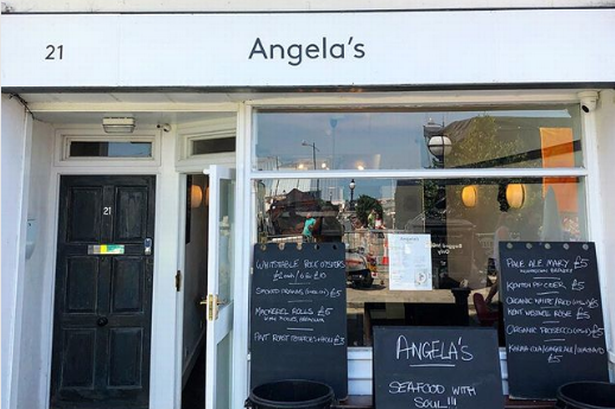 A new seafood restaurant and takeaway from the team behind Angela’s Margate is set to open in the seaside town. Called Dory’s, the venture will focus on local produce and small plates, with oysters, fresh and smoked fish at the forefront. Dory’s, like Angela’s, will operate with a sustainable (MSC certified) “catch of the day”-centric approach, and with a wine list comprised largely from English vineyards. The new venue will not be a carbon copy of the existing restaurant, however: “It will be different to Angela’s: casual and informal, no reservations, counter-stool seating and open all day,” Angela’s head chef Rob Cooper told The Caterer. Dishes at Dory’s will include smoked prawns, pickled herrings, salt cod brandade, and scallop tartare, among a number of promising creations. Angela’s was opened by owners Lee Coad and Charlotte Forsdike in November 2017. Reviews have been consistent and strong, though perhaps due to its diminutive size and seaside location, reporters haven’t yet been there in numbers.